SuperyachtNews.com - Crew - Recruitment, is an association the answer? Recruitment, is an association the answer? 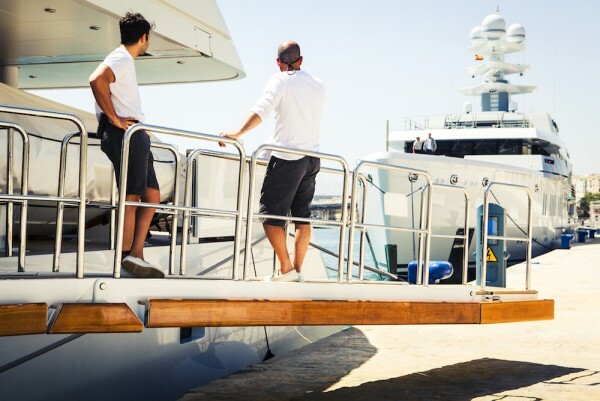 ‘Recruitment’ is an umbrella term for the sector of the superyacht market that makes its money placing crew, both junior and senior, on board superyachts. However, more so than other sectors of the market, the disparity in practices between the best and the worst companies that work within recruitment is vast, leading some to believe that the solution to wheedling out the ‘cowboys’ would be the creation of a superyacht recruitment association. But, is another association really the answer to this problem? SuperyachtNews speaks exclusively to Joey Meen, CEO of G.U.E.S.T Steering Committee, about the issue of recruitment. “The Professional Yachting Association (PYA) encourage and chaired a newly formed ‘International Association of Yacht Crew Employment Agencies’ working group in 2008 with 12 of the local agents involved from the start, with a focus on establishing an agreed code of practice and ethics,” starts Meen. There is, undeniably, some serious discrepancies in the various methods used by superyacht recruitment agencies, ranging from the reasonable and effective to the ill-advised and illegal. The most commonly bemoaned practices relate to a total failure of those less ethical ‘recruitment agencies’ to adequately protect crew and vessel data. When candidates share their data with unprofessional and ineffectual businesses, they have no idea where it’s going, who is going to end up with it or how it is going to be used. “Additionally, there are far too many individuals who work behind the desks of these agencies who are rather naïve to not only the on-board operations and the huge variables between each yacht set-up in regards to crew dynamics, and the expectations of the heads of departments, owners and guests, but also the duties of the departments and, subsequently, the required qualifications and skill sets needed by those they place,” explains Meen. Perhaps then, if an association isn’t the solution to the issue, the market needs to do a far better job of self-regulating. The cowboy agencies need to be ousted through the best practice and success of the legitimate ones. However, there is also an onus on the market to educate captains on crew on the risks of using unscrupulous agencies.